We help our clients make great investment property decisions by providing the most reliable valuations in the industry. Classic Valuations is a locally owned real estate appraisal company that specialises in providing expert property valuation and appraisal services in Medicine Hat and surrounding communities in Alberta and Southwest Saskatchewan. 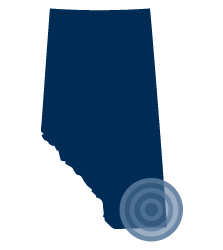 Classic Valuations is located in the City of Medicine Hat, Alberta. Our service area generally spans the area within a 2-hour driving radius of the city. Looking for a reliable and professional valuation of your property?